These past two months, one of the joys I wake up to would be the prospect of, and excitement over, what to eat for the day. 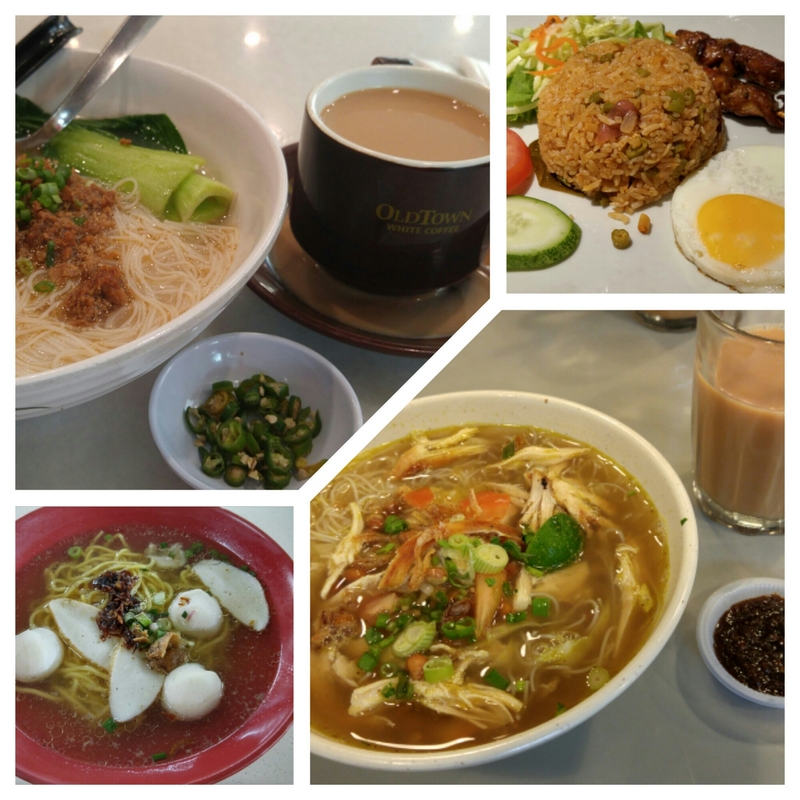 The excitement does not just revolve around what to eat but rather, where to eat. Gotta travel across two different train lines to get to the shop? No problem! The shop is only accessible via one or two bus services? No issue as well! The shop is located about an hour away from the west where home is? No big deal, just go! 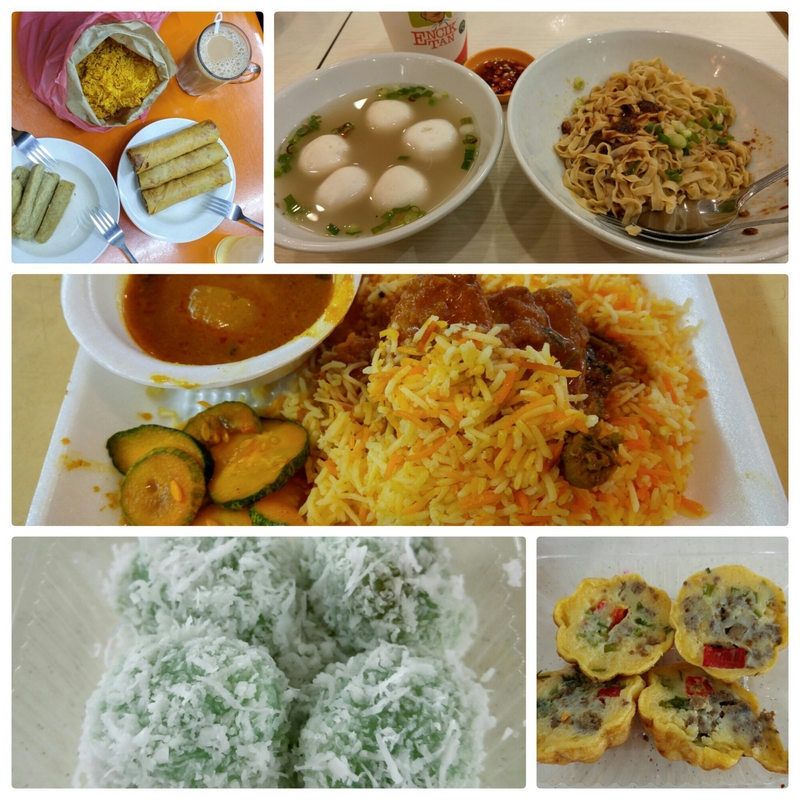 So, the following are just some of the food which I had eaten during the past 1.5 weeks alone. If I were to take into account the food I ate without capturing its photo, then there would be more where that came from. Then there are those lies I tell to convince myself to eat more than I should. For example when it comes to my ultimate favourite, the pineapple tart, I would always tell myself to be disciplined and eat only one tart per day. See, I have this grand strategy when it comes to eating things as sinful as these tarts. Since it is so sugar-laden, I will limit it to just one per day and then spread it slowly across the month. But of course, that doesn’t happen in reality! After I’m done chewing and swallowing that first tart, I’ll tell myself “Well, Allah loves anything odd so I might as well eat two more and then make it three”. The lies does not stop there for after the third one, I would then tell myself “But when we do our zikr istighfar, we do it for 11 times right? So 11 would be a good number”. Like seriously, what has doing zikr got to do with the number of tarts I eat? Such nonsense I delude myself with just to ease the guilt of being a glutton. Since when has this eat-as-much-as-you-can mentality crept into my psyche? Need to stop this. It’s the nafs I tell you. The nafs is definitely such a major culprit. I’m aware that I need to work harder to keep the nafs reined it but you know, my mind’s been obsessed with getting myself a plate of char kway teow and the thought has occupied like 55% of my brain since afternoon… Help! That said, one good thing that materialized as a corollary of all these eating is that I’m made to realize how perfectly Allah created the human body. I was just thinking to myself the other day how all that massive amount of food I ate got digested with ease, alhamdulillah. Nowhere can we find a manmade creation as miraculous as the God-created digestive system. Food gets spoilt if we leave it outside for long but inside the human digestive system, it skips that process and instead gets processed into smaller matter with some even benefitting the human health. MasyaAllah, that is so amazing isn’t it? Categories: Food, Me | Permalink.